Very pretty watercolor floral clipart set with beautiful color combinations + wreaths + digital paper. 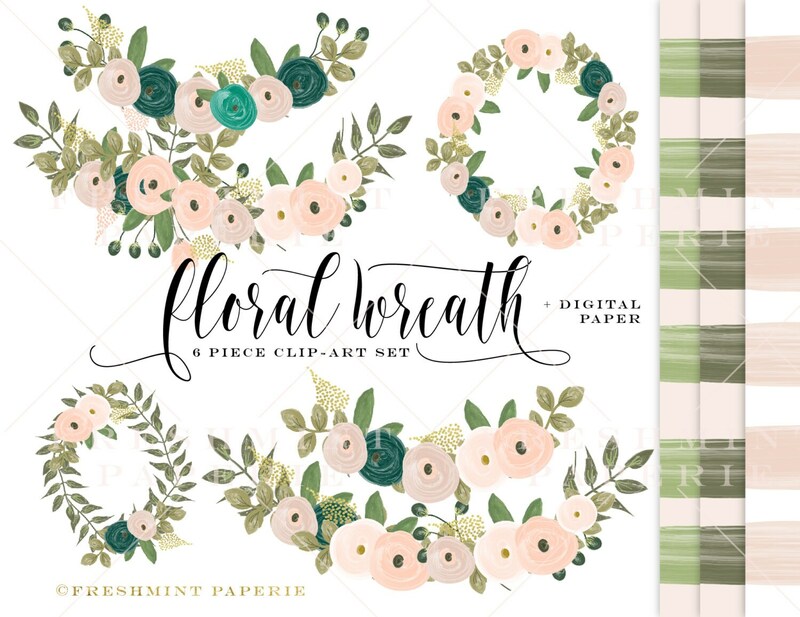 6 piece clipart set + 3 digital paper designs with seamless patterns. Beautiful! Love the colors and design.